Born in Budapest in 1905, Arthur Koestler was a pivotal European writer and intellectual who inspired, provoked and intrigued in equal measure. Koestler wrote enduring works of reportage and memoir but he is most famous for his political novel Darkness at Noon, which received widespread international acclaim. This book offers a fresh and unbiased account of the life and work of an enigmatic, challenging writer who continues to polarize opinion today. Edward Saunders describes Koestler as a leading documentarist of some of the key moments in twentieth-century European history, paying attention to the writer’s self-staging as a witness to them. He describes Koestler’s struggle with his Jewish identity and also outlines the author’s later ideas on the theory of science with an open mind, illustrating how he tried to imagine the future of science and humankind. 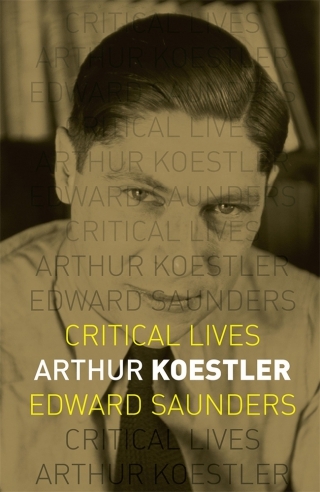 Engaging directly with the controversial claims of sexual violence that emerged in the years after Koestler’s suicide, Saunders differentiates between the life Koestler led, the story he wanted to tell about it, and the disintegration of Koestler’s public reputation after his death. The book will appeal to those who are already familiar with Koestler, as well as readers seeking to learn more about a key European writer and thinker. Edward Saunders is a researcher at the Ludwig Boltzmann Institute for the History and Theory of Biography in Vienna, Austria.